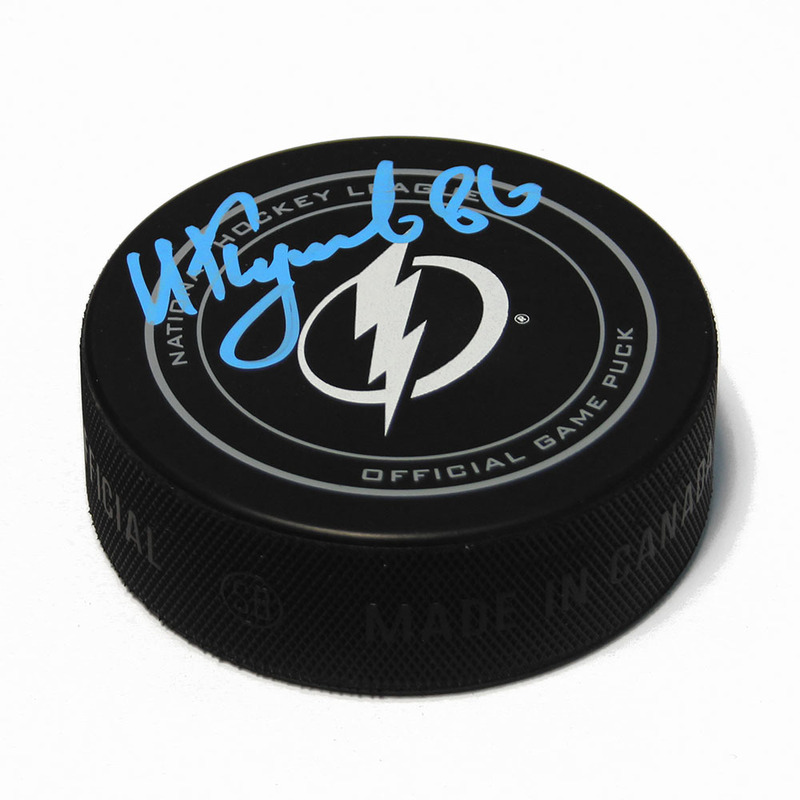 You are bidding on a fantastic Nikita Kucherov autographed hockey puck. To protect your investment, a Certificate Of Authenticity from A.J. Authentic is included with your purchase. This certificate is your assurance that the accompanying item has been personally autographed and is unconditionally guaranteed by A.J. Authentic, a division of A.J. Sports World Inc. To ensure the integrity of the authentication process, please look for our tamper evident holograms affixed to the certificate and the piece of memorabilia. A great piece of memorabilia at a great price.